We are a one-stop printed circuit board manufacturer and quick turn PCB assembly solution. Offering some of the most advanced PCB technology and convenient services found in the industry: Full Spec PCBs, Small Quantity - Quick Turn PCBs, Custom Spec - Quick Turn PCBs, Highly Specialized Precision PCBs, & Large Scale Production (No order is too small or too large). Advanced Circuits is one of the few PCB suppliers that is able to manufacture for DOD Contracts in the United States. 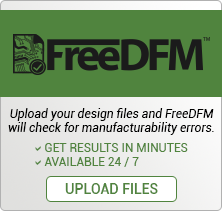 Since we are not a broker, all of our boards are made in one of our three US based facilities (100% U.S.A.Manufacturing) with a broad range of advanced capabilities for high reliability, precision, and powerful PCB performance for critical applications. View our expanded capabilities and certifications. Our customer service and reliability is known as the very best in the industry. Combine that with our quick turn capabilities (same day and weekend turns available) and our readiness to manufacture and assemble any size run of PCBs. 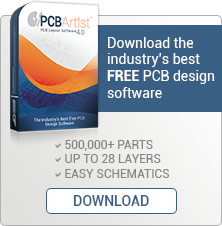 In addition, our FREE PCB Design Layout Software, and Our FREE PCB File Check allows us to be the complete solution in the PCB Industry.